Situated within a UNESCO World Heritage site, Marina d’Arechi is the ideal homeport or base for those wishing to explore some of the world’s finest cruising locations by boat, and a destination in its own right. Berth in a modern and fully equipped Marina, surrounded by breath-taking natural gems: Marina d’Arechi is the true gateway to the Amalfi Coast, providing unrivalled access by yacht to Positano, Capri, Ischia, Ravello, Pompeii and Naples. Whether it is for a day only, for the summer or even more, here you can find the berth you are looking for. Marina d’Arechi has been recognized as "Marina Resort", an essential qualification to apply a reduced VAT rate (10% instead of 22%) on short term berth rentals (less than one year). Sailing just for a short break? Marina d’Arechi has a selection of berths dedicated only and always to visitors. Enjoying only the warm season? Our seasonal forfeit (6 and 4 months) are tailored to you! No sunny days to lose? Marina d’Arechi is an all year round holiday destination. Looking for a "worry-free" winter? Leave your boat in very good hands, our shipyard offers highly qualified assistance and convenient prices. How much money have you spent over the years to rent a berth? There are a lot of good reasons to become owner of your berth in Marina d’Arechi! Find out more! In addition to the usual formula of renting berths on an annual, seasonal, monthly or daily basis, Marina d’Arechi berths are also sold to selected customers for the entire period of the concession (an 80-year leasehold) at competitive prices. 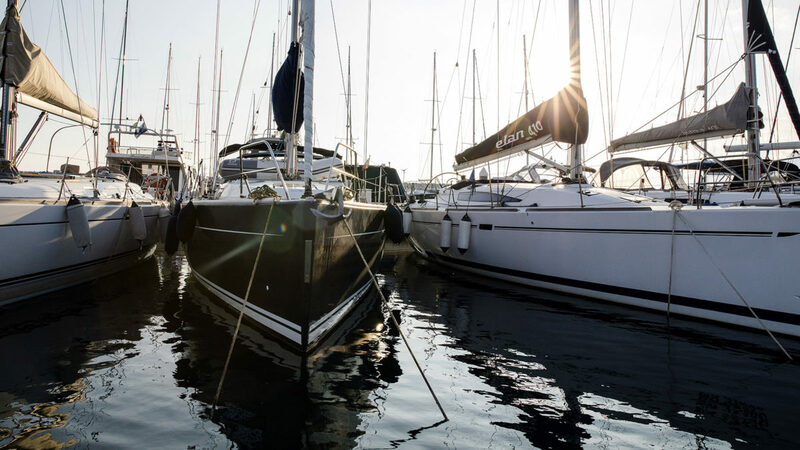 When marinas sell a berth, the purchaser is usually merely acquiring the right to use it (or a long-term rental obligation), and does not assume legal ownership. The special type of concession granted to Marina d’Arechi entitles the Company to transfer the actual surface rights (leasehold property) to the purchaser, which is not a simple rental obligation, but a formal real estate property transaction. Through a Public Notary the property of the berth is transfer- red – for 80 years – from Marina d’Arechi to the purchaser. The berth property is filed in the public cadastre (the public register of real estate proprieties) under the name of the new owner. This means that no event may change the status of the new ownership of the berth. The public cadastre is a comprehensive register of the real estate or real property of a country which includes details of ownership, tenure, precise location, size and area, and value of individual parcels of land. The duration of the leasehold transferred to the purchaser (80 years), which compares with a much shorter leasehold duration offered by the majority of other marinas (10, 20, or maximum 30 years), means that this investment holds its value persistent for a very long time. As an example: if after 10 years the client wishes to resell the berth, thanks to the remaining 70 years leasehold, the resale value will be very high, most probably higher than what was originally paid. The 10 years spent utilizing the berth will have been practically “free of charge”. If you expect not to be using your berth for a period of time, Marina d’Arechi can offer a special management deal, involving renting your berth to third parties’ customers (available in annual or seasonal summer rental contracts). 1. Marinas are not like buildings which can be placed close to each other. Once a marina has been built it is impossible for another one to be developed in the same area. 2. If a marina is constructed in a very attractive area (such as the Amalfi Coast) the demand for berths will remain strong and is likely to continue growing over the time. 3. The combination of these two factors means that demand over the years will exceed supply and berth value will rise. 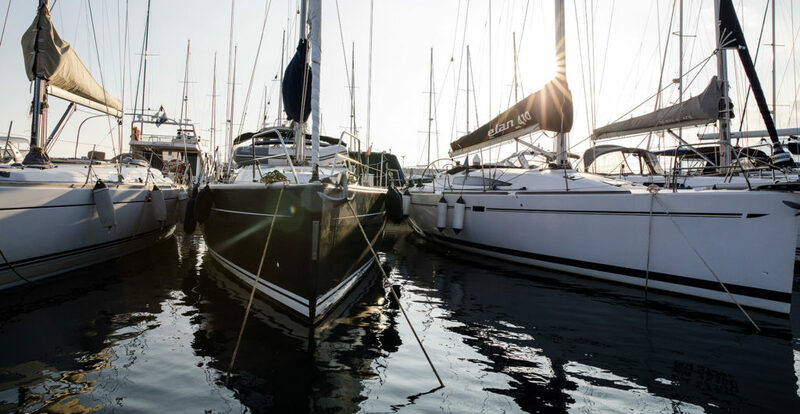 Purchasing a berth can also be an excellent investment opportunity for those not wishing to use it for their own yachting requirements, thanks to tailor made management deals, to be discussed and agreed on the basis of individual requirements.